This week is Pam’s and my birthday week! Well, if you ask our older brothers, they’ll say that we were very spoiled and that EVERYDAY is our birthday! Hey! I can deal with that! As we get older, I realize that each birthday should be celebrated with gusto! You only get one day a year to celebrate the day of your birth, so ya may as well do it up right! 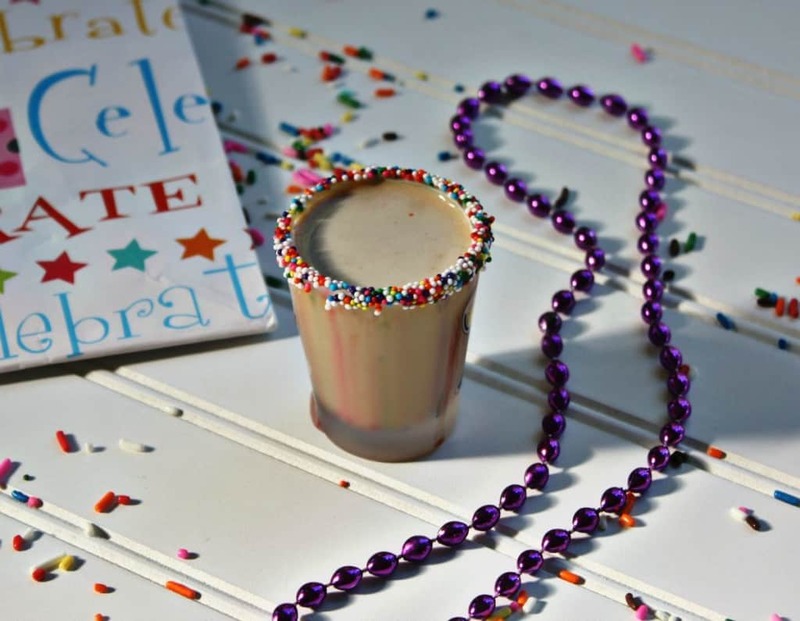 Many people enjoy a special cocktail on their birthday, and with the vast array of alcohol flavors there are these days, I just KNEW I’d find a great recipe for a birthday drink! Enter the Birthday Cake Shooter! I found this awesome concoction on an adorable site called Miss Buttercup. I changed it up just a little to reflect what I like – because, you know – IT’S MY BIRTHDAY! Combine all ingredients (except the sprinkles) in a shaker cup, add ice, and shake. Dip the top of chilled shot glass into honey so that the rim is coated. 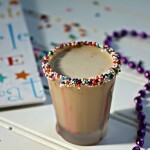 Coat the rim of the shot glass with sprinkles. Strain the liquid into chilled shot glass. I used just a little more Godiva Chocolate Liqueur in to make it a bit more chocolaty. This shooter is SO good! It kind of reminds me of a Mudslide taste. It’s not overly sweet, and it has the perfect “kick” to it! 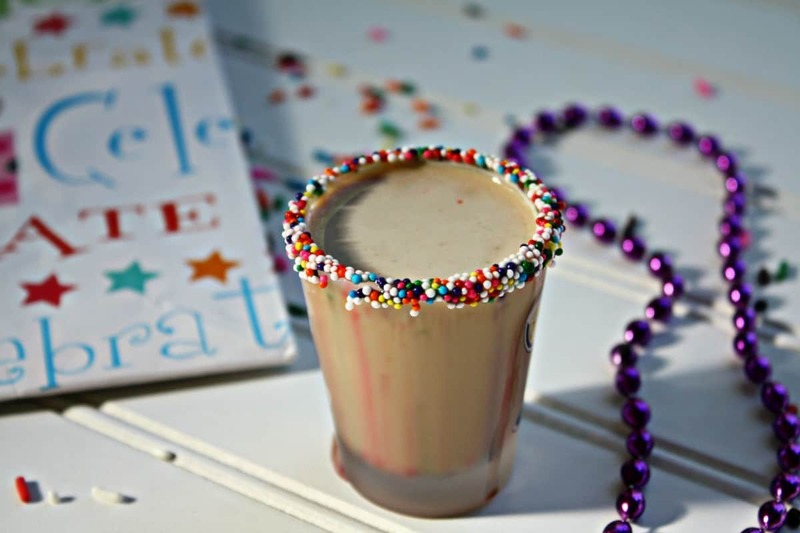 And, the sprinkles add that extra special touch that makes this drink birthday-worthy! Pin this recipe for when YOUR birthday comes back around! OR surprise your friends on their birthday with this fun way to celebrate! 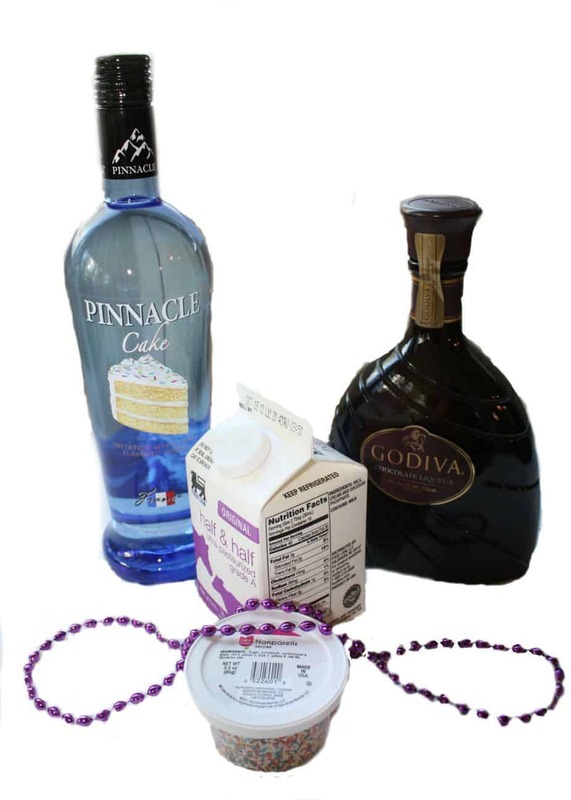 Life is too good not to commemorate special occasions like your birthday, but always drink responsibly! Yum, that looks/sounds so GOOD!!! Remember, my birthday is only 5 months away!